Looking for information on how to create your own technical fashion line sheets and sketches? You’re at the right place. With Digital Fashion Pro and The Fashion Business Center – you can do it all and we teach you how. Digital Fashion Pro – A Complete CAD Fashion Design Software System and Fashion Course Wrapped in One! With Digital Fashion Pro – users learn basic fashion design. The expanded system which includes the Digital Fabric Library comes with a tutorial that teaches users how to use Digital Fashion Pro to create technical fashion sketches and technical specification sheets. This is the CAD program you have been looking for. Very affordable with endless capabilities! Digital Fashion Pro can be used to create technical drawings such as the sketches shown above. Technical Sketches along with design sketches (both created with precision in DF-Pro) are the foundation / first step in creating patterns and/or finished designs with superior accuracy. After creating the illustration portion of your technical pack in Digital Fashion Pro – you then can print it out or E-mail your technical sketches & measurement information to a professional pattern maker, seamstress or manufacturer for them to either make a pattern for you or go straight to manufacturing your garments. This is the normal fashion design process. Digital Fashion Pro sketches are approved by manufacturers worldwide. We teach you how to use Digital Fashion Pro for technical sketching in the bonus Garment Specification Tutorial located the Beyond the Basics Upgrade. If you need garment measurement help please see The Measurement Specification Handbook. If you need a better understanding of the fashion design process / garment measurements etc. – please read this article: the fashion design process and how to send sketches to manufacturers. Digital Fashion can help you achieve whatever goals you have in mind concerning your fashion design program with ease! It is a one stop shop! For the price and capabilities of Digital Fashion Pro – it just can’t be beat! For pricing and options – keep reading on below. The Fashion Business Center is the ultimate tool that fashion entrepreneurs have been waiting for. 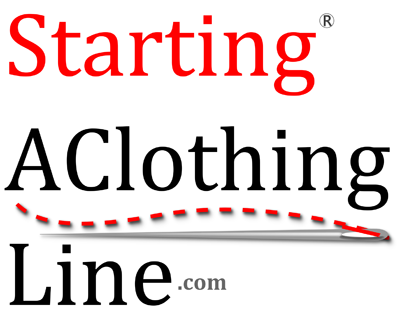 Your life as a new clothing line owner has just gotten easier. With our 3 Book Course and The Fashion Business Center – you will be well on your way! This tool will also come in handy while you are creating your business plan. This tool takes the guess work totally out the financial planning of getting your clothing line off the ground. Fashion Line Sheet Templates, Contracts, Clothing Spec Sheet Templates, Order Sheets, Training + a Course on the financial aspects of running a clothing line that every fashion entrepreneur needs to know before going forward with a clothing line. This is one of the most revolutionary products ever created for fashion designers, ordinary people and fashion companies. The course / training inside of The Fashion Business Center will take you behind the scenes to show you exactly what things need to be done in order to run your fashion business successfully from a financial stand point. Over 3 1/2 hours of training videos and helpful tips! + All sorts of important templates, contracts, and much more! 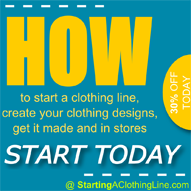 Be sure to check out our How to Start a Clothing Line Course which includes The Fashion Business Center Tool – this kit is one of the most important resources that can empower you as you set our to build your own fashion empire.